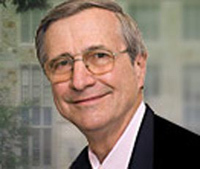 Listening to Dr. Peter Kreeft, professor of philosophy at Boston College, is a great experience. He is witty, engaging, and informative. His many years of experience are evidenced by his ability to explain complex concepts in terms that can be understood. Recently, he spoke at a Catholic church in an adjacent town on the topic of divine love. The speech was a mixture of philosophy and Christian theology. From the nature of the Christian God to modern societal perspectives on love, Kreeft’s lecture contained numerous compelling observations about divine and personal love. His speech got me thinking about the notion of love, particularly personal love. What is striking is how frequently the word “love” is used today but yet there exists various perceptions about this concept. Polling people about the meaning of love would produce interesting responses simply because of this diversity. Phrases such as “I love you,” “I love my wife,” “ I love my dog,” “I love the Boston Celtics,” “I love chocolate,” and “I am in love” are frequently uttered but may have very different meaning. “Love” is a big part of everyday life. Some die for it, some live for it. Whole industries, such as music and greeting cards, owe much of its success to what probably is a manufactured definition of love. Dr. Kreeft’s lecture got me thinking about modern perceptions of love: how people talk about it, what people think it is, and the like. Aristotle uses the term “love” synonymously with “friendship” because the English rendering of the Greek word, philia, can be translated into friendship or love. We see two important elements that comprise the Aristotelian view of love – self love and doing good for the other’s sake and for no other reason. Aristotle goes on to describe friendships of utility and pleasure and argues that these friendships do not demonstrate the true nature of love because one who truly loves themselves would not enter into a friendship that is merely concerned with using the other person as a means to an end. Aristotle’s ideas on self-love has caused some to consider him an ethical egoist. However, ethical egoism argues that one should pursue their own interests exclusively with no obligations to others. Aristotle viewed love and its prerequisite of self-love in quite a different fashion. His focus was what is best for the other not simply what is best for ourselves only; the community over the individual. Aristotle’s self-lover was considered noble because he thought of himself first in order to love others properly. Selfless love would have to mean that you derive no personal pleasure or happiness from the company and the existence of the person you love, and that you are motivated only by self-sacrificial pity for that person’s need of you. I don’t have to point out to you that no one would be flattered by, nor would accept, a concept of that kind. Love is not self-sacrifice, but the most profound assertion of your own needs and values. It is for your own happiness that you need the person you love, and that is the greatest compliment, the greatest tribute you can pay to that person. Interesting perspective from Rand but it is in line with her objectivist philosophy--particularly her view of man. Rand argued that man is an end in himself and not the means to the ends of others. He must not sacrifice himself to others and the pursuit of his own happiness is man’s chief purpose. The idea that love is selfless is considered anathema by adherents of objectivism. One such adherent, Gary Hull, argues that it is a philosophical crime to advance the idea that love is selfless. He contends that love is not based on self-sacrifice but rather self-interest. Genuine love is the most selfish experience possible and one in which no sacrifice is involved. Rand felt that one must regard themselves as worthy of being loved in order for genuine love to exist. You should expect to be loved because you offer positive value to another. Without this, no genuine love can exist. It is interesting to note that Rand praised Aristotle and considered him as her favorite philosopher. Although they may agree on the necessary role of self-love, Randian ethics was driven by selfishness as the driving force behind pursuing one’s happiness. Aristotelian ethics was known for its emphasis on eudamonia built from the habitual practice of virtue in one’s life. In addition, the individual’s social life in a community is a necessary condition for a man’s complete flourishing. However, compare this with Rand who argued that emphasis must be placed on the individual’s pursuit of their own happiness with no regard to others. Randian love starts with yourself and ends with yourself. This pursuit of individualism can be seen in her famous characters such as Harold Roark, John Galt, and Dagny Taggart. Love: so many great thinkers have talked about it and written about it and yet so many still strive to comprehend it.